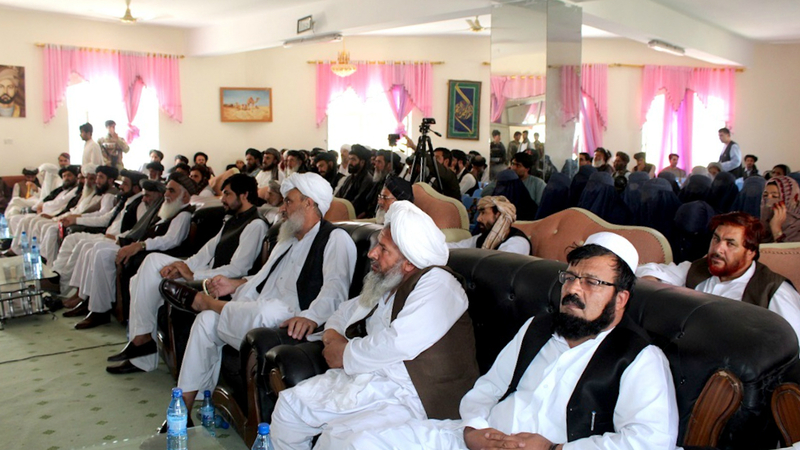 JALALABAD -- Activists in the Co-ordination Council of Civil Societies (CCCS) in Nangarhar Province have called on the Taliban to start engaging in intra-Afghan dialogue and put an end to the fighting. 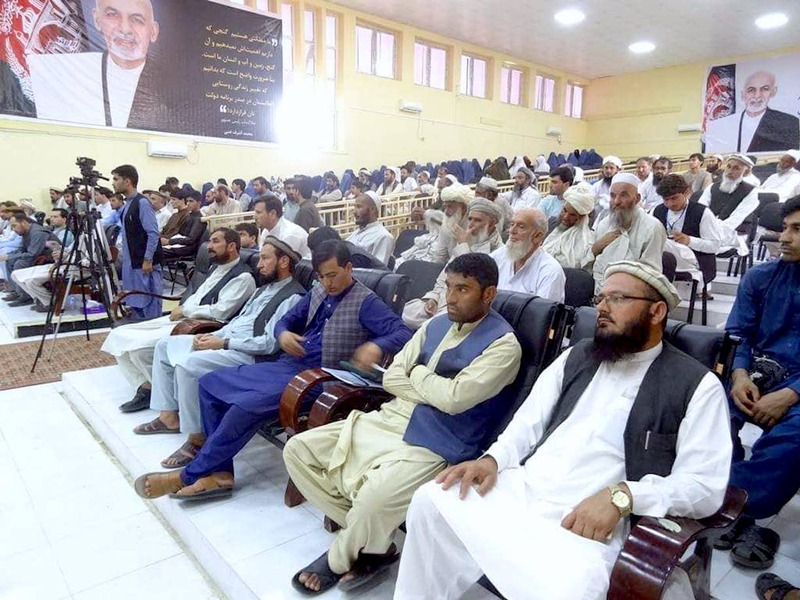 Nearly 300 members made their voice heard during a gathering convened in Jalalabad on January 13 under the banner of "We Want Inter-Afghan Peace". "The gathering's purpose was to call on the Taliban to hold intra-Afghan negotiations and to stop fighting," Abdul Latif Wahidi, chairman of the CCCS in Nangarhar, told the gathering. "No matter how much the Taliban fight, they will not be able to succeed," he said. "They will only kill the people and displace them and will further destroy the country." Wahidi expressed concerns about increased regional interference in Afghanistan, saying that various regional intelligence agencies do not want the Afghan government to make peace with the Taliban. "The Afghan government is ready to engage in peace without any pre-conditions," he said. "The Taliban do not want to hold face-to-face talks because it looks like they are instigated by others to prolong the fight." "Our people are fed up from the fighting as much as they are fed up with life because of such conditions," Wahidi lamented, mentioning that "there are widows in every home." He added that those who want to continue the fight will have to answer to these widows and orphans. Iran has a number of interests in Afghanistan that compete with the Afghan government, most prominent of which is the water issue, said Ashna Gul Bandawal, a civil society activist in Noorgal District, Kunar Province. "For these reasons, Iran does not want peace to come to Afghanistan and is supporting the Taliban." Malalai Mashal, a Jalalabad-based civil society activist, said realising peace in Afghanistan will require a joint effort. "Equally important is for women to be involved in peace talks because women are mothers, sisters and wives," she told the gathering. Praising the Afghan government's efforts in bringing peace, Abdul Rahman Mawen, the chairman of the National Youth's Unity Society of Nangarhar, said he hopes that the on-going peace efforts supported by the United States will bear positive results. "The efforts of Afghan President Ashraf Ghani demonstrate how devoted he is in bringing peace and shows his thirst for the process to progress," said Mawen at the gathering. Several local businessmen present at the event also declared their support for Ghani's peace overtures, arguing that if peace becomes a reality, Afghanistan's economic situation will also significantly improve. "Businessmen bear losses worth millions of afghanis on a daily basis because of the absence of peace," Khanzada Afghan, an Afghan businessman, explained to reporters after the gathering. Echoing the calls for peace, nearly 40 religious scholars, tribal elders and youth in Jalalabad called on the Taliban to engage in peace talks with the Afghan government during a separate gathering on January 14. "Innocent Afghans are being killed in the fight every day," said Mawlawi Habibullah Jalalabadi, a member of the Nangarhar Ulema Council. Jalalabadi said the violence driven by the Taliban is directed by outsiders and it is illegitimate to term this fight "jihad". "If my house is burning, yours will also get burned down," he said, addressing the need for regional countries to help each other in the fight against common enemies. Mohammad Mutahar, another religious scholar, detailed how the ongoing war has ravaged the country in numerous ways. "Our children and women are living under bad conditions," he said. "The continuation of this war will only further our misery." Public calls for the Taliban to accept the Afghan government's offer for peace talks are increasing. 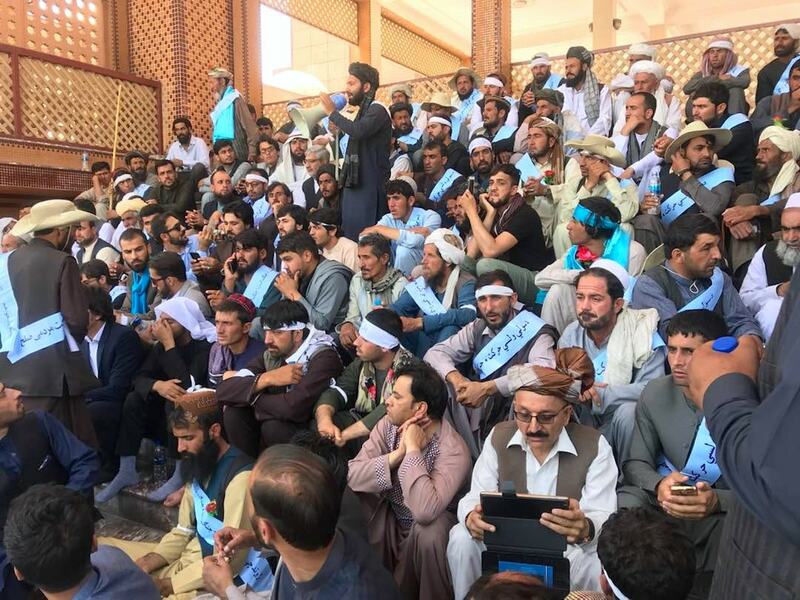 'The Koran, Hadith and the consensus of religious scholars consider fighting here illegitimate,' said one scholar who attended a meeting in Qalat calling for peace.